Purchase Select Classes and Workshops Online. Select drop-in classes and Class Cards are available for purchase online below. Please talk with the individual instructors for other classes on payment methods available for those. Restorative yoga helps you reach an optimal alignment. Restorative yoga relaxes and regenerates both the body and the mind. Restorative yoga improves flexibility without injury risk or pain if done with mindfulness, care and respect for the body. Because restorative yoga relaxes the mind, it helps relieve anxiety. Restorative yoga helps insomnia and is a wonderful practice when you are physically, emotionally or mentally tired. Restorative yoga improves respiratory capacity and blood circulation. Everyone (almost everyone)can do restorative yoga. “YOGA” A process of balancing all aspects of life with “mindful action.” A wonderfully beneficial tool when used properly, if misused can be harmful. Yoga is not an athletic activity and is not practiced as such. 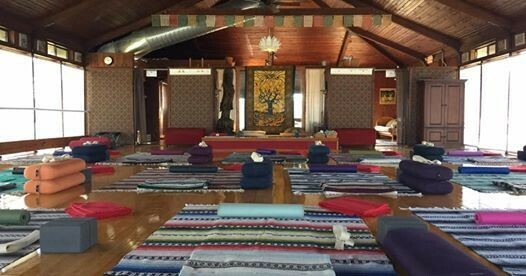 The San Antonio Yoga Center is located at 11011 Shaenfield Road (across from the Jefferson Middle School), San Antonio, TX 78254. Our office number is 210-523-SAYC (7292). Please “Like” us on Facebook to keep up with new classes, workshops and more.